Chinese government officials(city inspectors) beat to death a Chinese blogger(Wei Wenhua,41) who filmed their confrontation with villager in Central China. This has created a kind of flaming issue in Chinese Internet Chatrooms and forums condemning the cowardly act. And, this has alarmed the advocates of press freedom. An international press freedom group, Reporters Without Borders, protested the killing. In the response, it is said government fired all those involved into the incidents and informed further investigations are running. 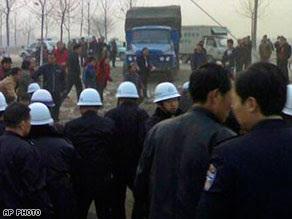 A scuffle developed when residents tried to prevent trucks from unloading the rubbish, local news(Xinhua) said. And, when Wei took out his cell phone to record the protest, more than 50 municipal inspectors turned on him, attacking him for five minutes. 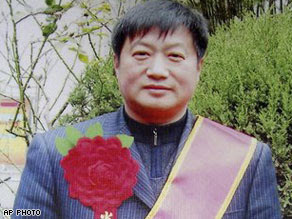 Wei was dead on arrival at a Tianmen hospital, the report said. It is really a bad news that a blogger is brutally murdered by some government officials. Few weeks ago, i wrote about Arabian blogger who's whereabouts is still unknown. What's going on, i've no idea. And, contemporary blogger from Nepal, Umesh Shrestha has written dynamic and revolutionary posts depicting real face of then autocratic regime of king. I worry for his well-being because, no one sees whats happening next and I just want to wish him GOOD LUCK and BE SAFE message. The reason for this message is because, bloggers are being targeted for some reasons and more often these days. Possible to give the original source of this story? This is terrible. Gosh, yeah I think it's is better to write something nice in our blog and doesn't involves with any sensitive issues..Being Murdered just because of blogging is not worth it. Entrepreneur, i know what you meant but i edited(wrote) it at my own. I didn't copy/paste ditto. and i think i've mentioned the source duly. Look at the Image(AP) and please read 'xinhua' as a source in the paragraph. Hope that answers your fury!!! If i've copied/pasted ditto, i would have given the link source as backlink but i analysed the news and wrote my thought on the incidents. Ceara, i agree but i'm not sure, why is it happening? is it being taboo to write what we see.. i dunno..
yeh,... if they're exposing dirty, then today, no reporters would have been alive.. but thanks, they have unity.. 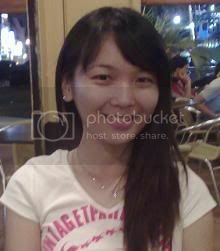 I still couldn't understand in Internet era, most of the people around the world were educated at least 6 years above. Why do people still brutally kill someone?? Well not logic at all. because there is no LOVE at all :) all these violence,beatings, .. No love at all ..